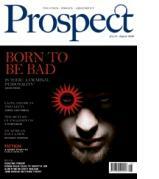 The latest issue of Prospect magazine features a fresh in-depth analysis of whether there is such a thing as a criminal personality. The author David Rose of the Observer notes that contemporary politicans have tended to focus on the social causes of criminality – think of Blair’s ‘tough on the causes of crime’ speech. But he points to new research showing that genetic factors are also key, in particular he highlights research by Terrie Moffitt and colleagues at the Institute of Psychiatry, including a study showing that whether childhood maltreatment leads to later increased risk of criminality depends in part on the variant of the MAOA gene that a person has. The gene codes for the enzyme monoamine oxidase A, and is involved in the regulation of neurotransmitter levels. A person with a low activity variant of this gene who is maltreated is far more likely to develop antisocial behaviour.